How can I lower my Shipping Refund Rates? Tracking and reducing shipping refund rates is an essential and often overlooked area for improving overall Refund Rates for merchants. Wish encourages leveraging the existing tools to help reducing Shipping Refund Rates, and thus improving shipping performance. The Tiered Carrier Program (Routing Guide) is designed to help merchants choose the best carriers for their shipments which will help reduce shipping refund rates. This model categorizes carriers in four tiers based on their shipping performance. To learn more about the program, please review the FAQ Tiered carrier Program (Routing Guide). 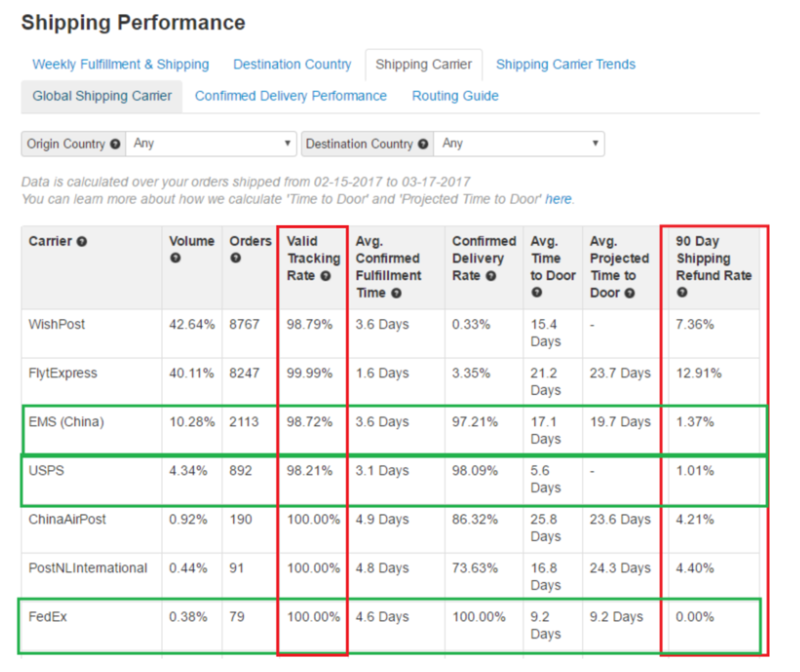 Merchants are also able to track and improve their Shipping Refund Rates by reviewing their shipping performance data on the Merchant Dashboard. Some countries may have higher Shipping Refund Rates as compared to others due to various issues (stringent customs rules, fraudulent transactions, etc.). It is crucial to review such patterns and consider using more reliable shipping carriers to these destination countries. This would ensure confirmed delivery of the packages and thus avoid the above-mentioned issues to help improve your shipping performance. You can easily review your 90 Day Shipping Refund Rate with respect to different destination countries here. Sometimes a package may get lost during shipment. This may happen if a reliable shipping carrier is not used. Wish encourages merchants to use trusted shipping carriers that will provide valid tracking information for customers. You may review your 90 Day Shipping Refund Rates for different shipping carriers here. Please use this information to understand how reliable the different shipping carriers are and to identify which carriers are responsible for the lowest 90 Day Shipping Refund Rate. 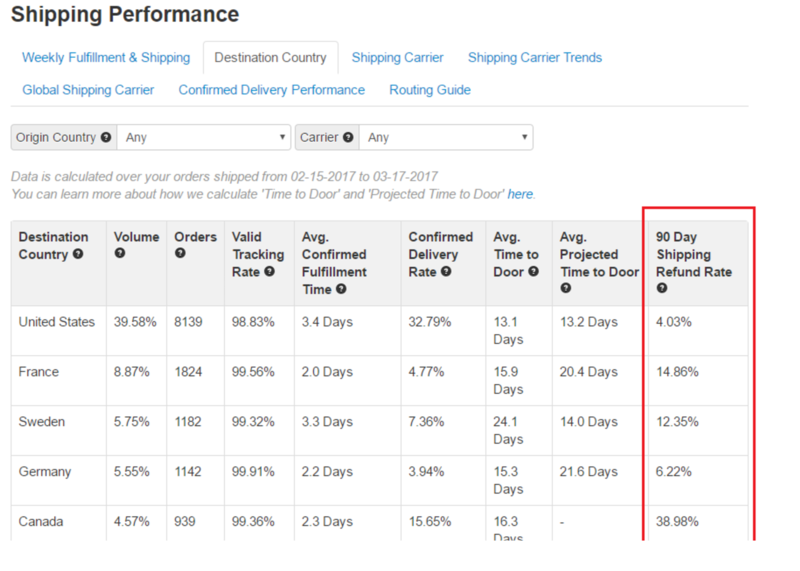 For example, in the screenshot below, you may realize that the 90 Day Shipping Refund Rates are extremely low for carriers like FedEx, USPS, and EMS (China). 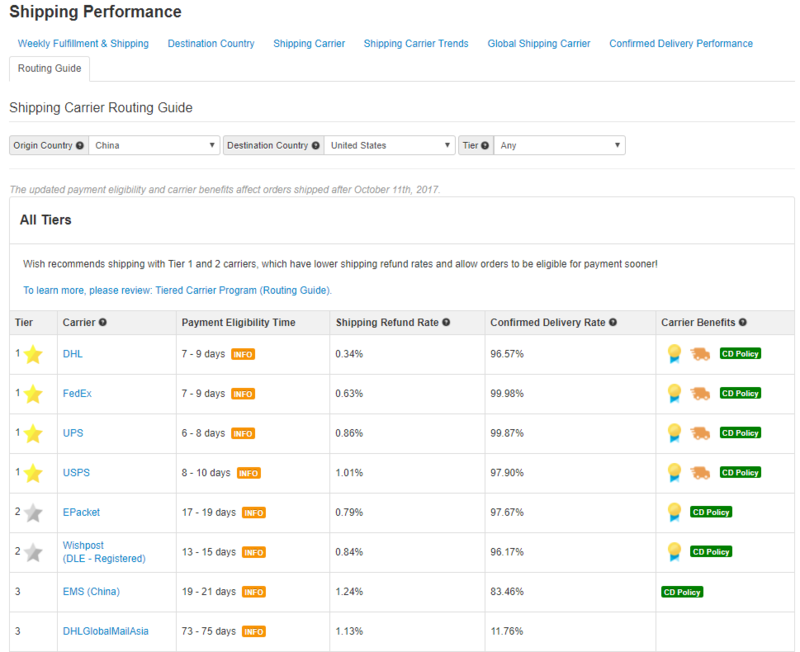 You may also navigate to the Shipping Carrier Trends tab to visualize the above information. The above image trends different shipping carriers for their Refund Rate metric shipped from China to all destination countries. This is helpful to analyze some of the carriers that have very high Refund Rates (eg. FlytExpress) and thus switch to more reliable carriers for future shipments. 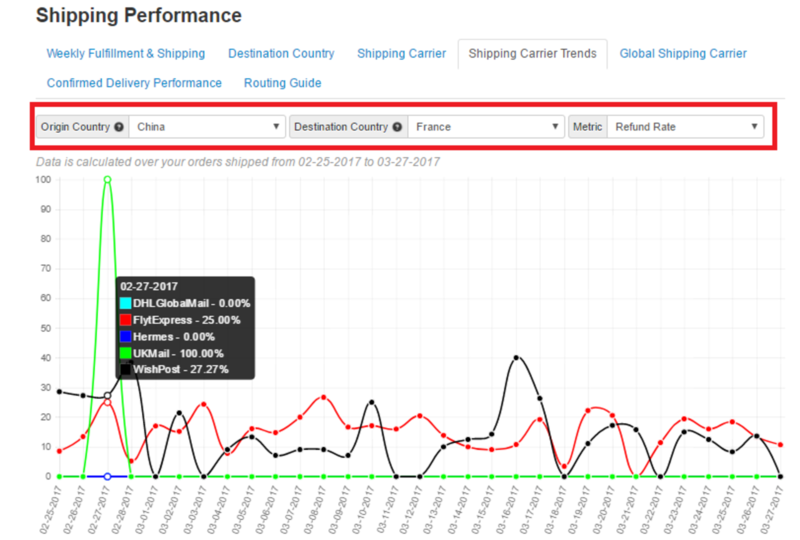 This graph trends the shipping carriers and their respective Refund Rates for packages shipped from China to France. You can easily notice that a shipping carrier like UKMail has an extremely high Refund Rate of 100% and should thus be avoided for future shipments. 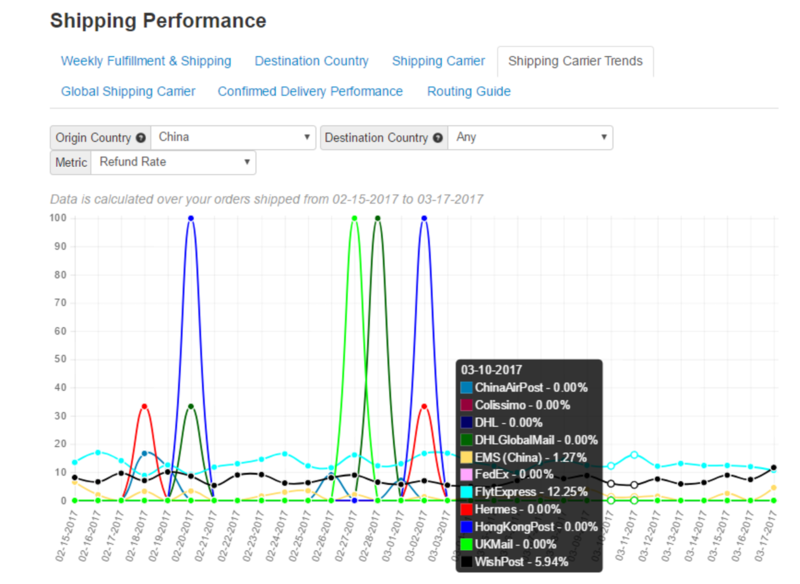 Through these charts and graphs, merchants can easily identify the most reliable shipping carriers to various destination countries and thus improve their overall shipping performance. You may review your 90 Day Shipping Refund Rate and 45 Day Shipping Refund Rate metrics for global shipping carriers aggregated across all orders on our platform here. It is helpful to learn the performance and impact of global shipping carriers. You should use shipping carriers that have low 45 Day Shipping Refund Rate and 90 Day Shipping Refund Rate. You can track over time if this has helped in lowering your Shipping Refund Rates, thereby improving your overall shipping performance. Some products in your store may also be the reason for your high Shipping Refund Rates. There might be fragile items that may break during shipment or never reach our customers! In such scenarios, you can easily identify and find patterns with products that have an extremely high Refund Rate due to shipping taking too long. 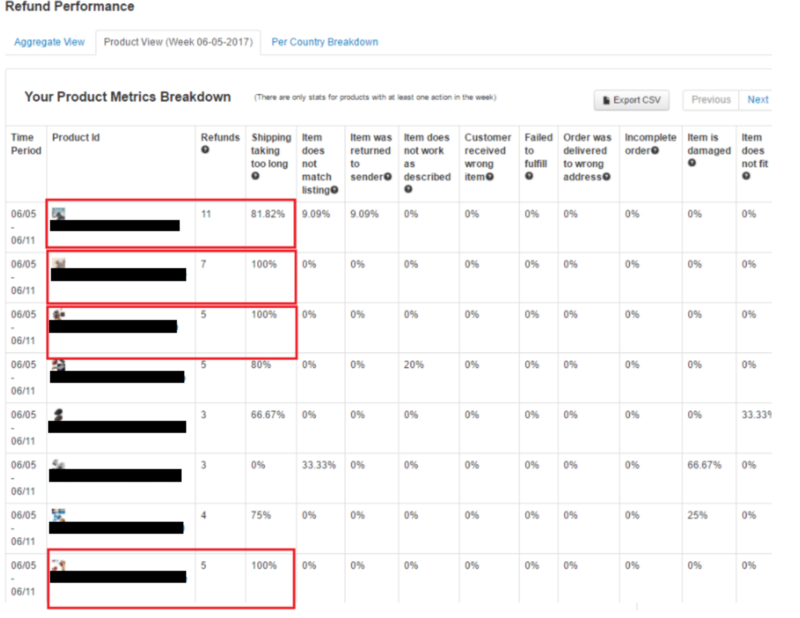 You may review this information on the Product View tab of Refund Performance page. Here you can find out which products have the highest shipping-related Refund Rate. You may be able to take better care while shipping such products in future (maybe use the most reliable shipping carriers), thus reducing your Shipping Refund Rates! 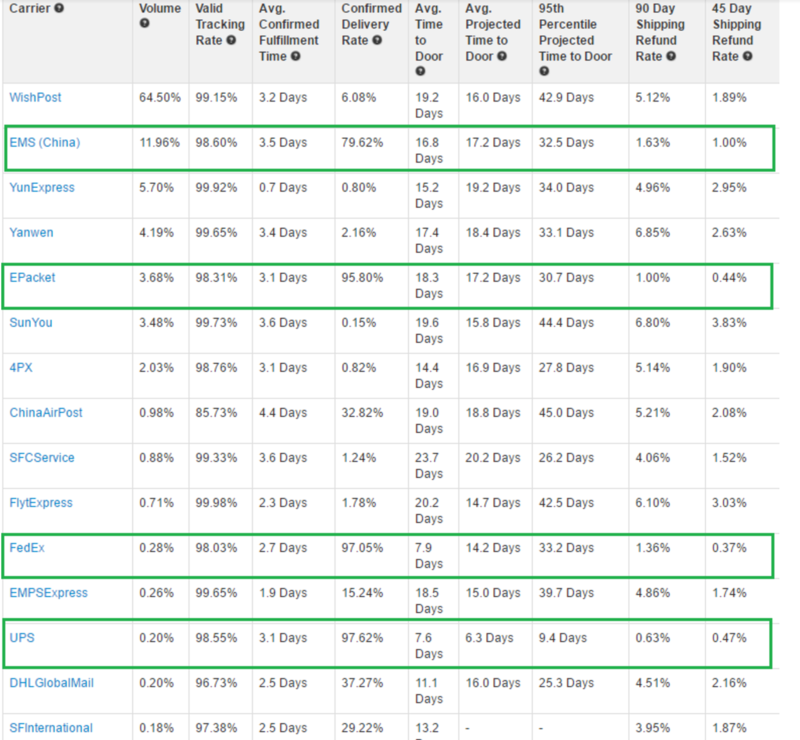 These tools are very helpful in tracking your shipping performance. 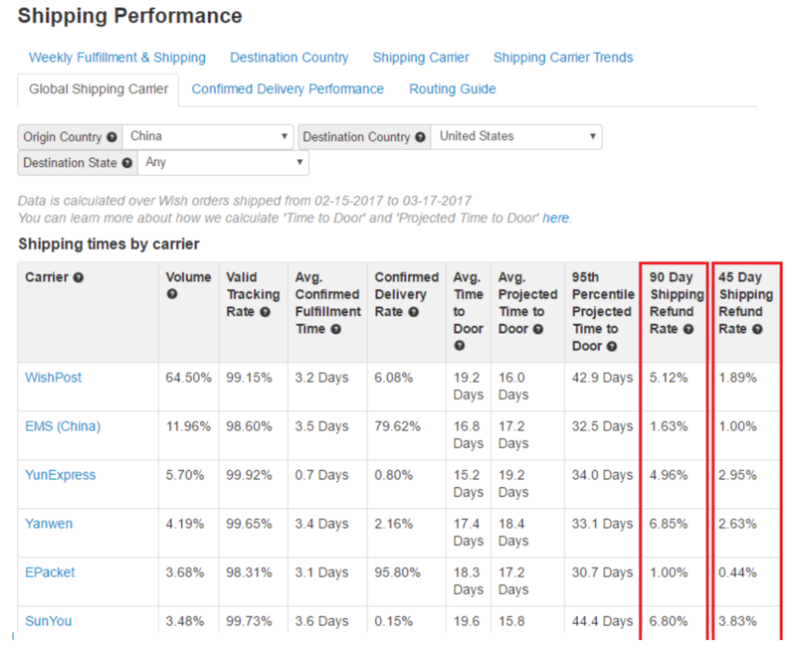 Please leverage these to make informed decisions, and see improvement in your shipping performance!